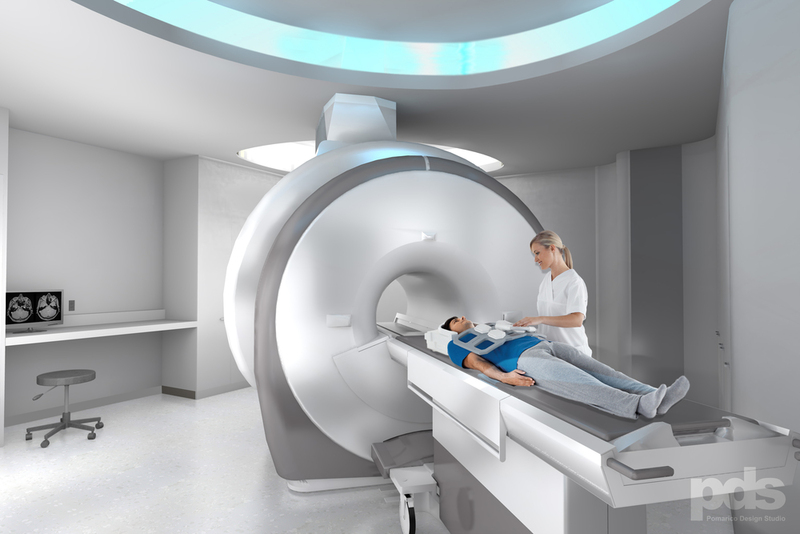 This project consists of expanding and renovating the existing MRI space. At the project’s onset, CAMA shared MRI best practice examples and challenged the design team to consider how best to reduce patient anxiety around the fear of a procedure. Introducing positive distractions throughout the interior became one tactic and the resulting design offers a range of interesting features, especially in the lighting design. For example, at the entry, a colorful, backlit art glass wall welcomes patients and visitors. As they travel deeper into the space, pendant fixtures cast subtle but interesting shadow patterns, while within the MRI rooms, illuminated ceilings with cycled lighting act as a diversion and focal point.